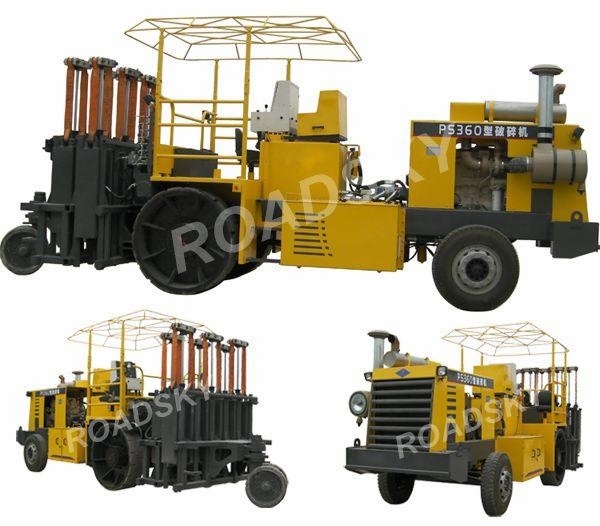 1 PS series hydraulic multi-head concrete road breaker is a kind of special machine intended for rubblization technology of concrete pavement. 2 Through rolling, the top layer of fragments forms a flat surface and the lower layers of fragments forms an embedding and crowding structure. 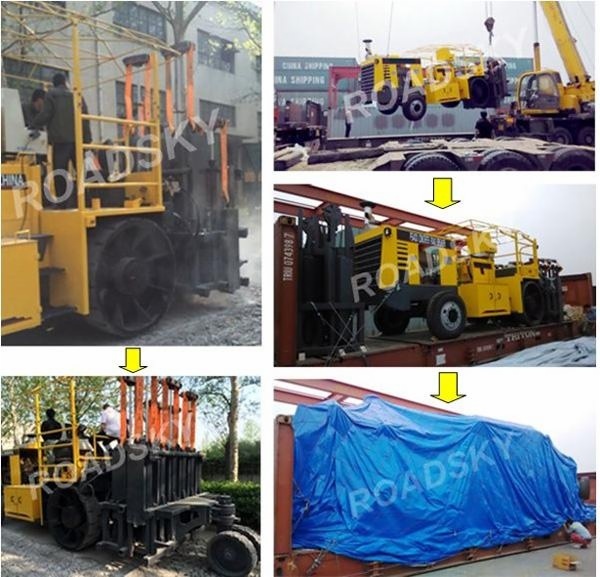 The road base can be effectively strengthened after paving new surface layer. 3 The MHB can operate close to the pavement centerline/edge (traffic is frequently diverted to the adjoining shoulder lane/shoulder during construction) and traffic barriers without unduly interfering with traffic. 4 By varying MHB operating characteristics, the MHB can produce a wide range of fracture patterns to accommodate individual project conditions. 5 On many projects, rubblization is started only a few hours prior to paving. More than one MHB can be utilized to achieve desired production rates and/or to rubblize more than a lane width. 3.1 GPS management system provides a platform on which remote monitoring and service can be realized between the manufacturer and the user, with intelligent control system, self-diagnosis can be realized for malfunction. 3.2 Cummins generator which is manufactured by Sino-US Joint Venture provides all the needed power for the system. So it is of the advantages of advanced performance, low maintenance rate and long durability. 3.3 Adopt close type hydraulic transmission system for the running. With stepless speed change, running steadily and working reliably. 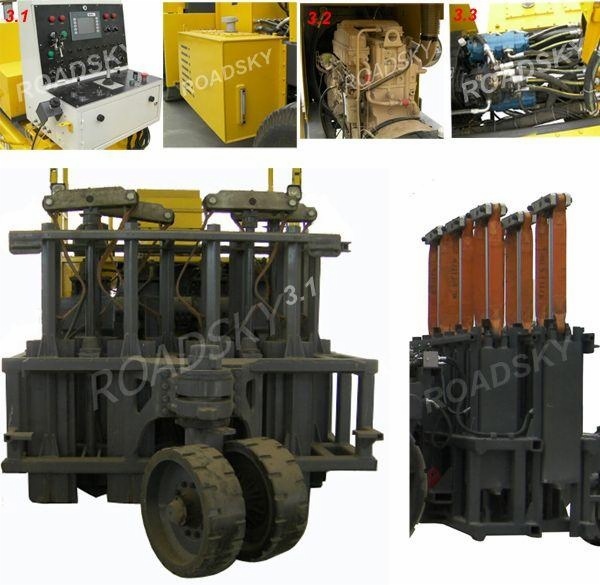 3.4 Adopt open type hydraulic transmission system for working devices. Manual and automatic control can be realized through electrical operation.